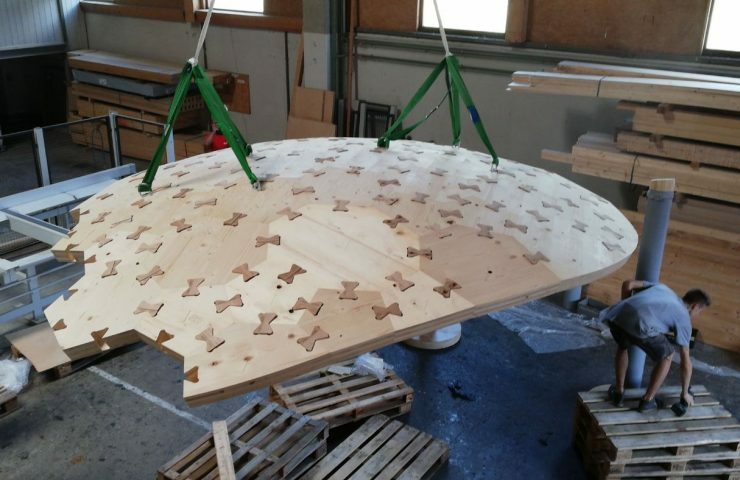 29.08.2018, Klagenfurt: A Segmental Plate Shell built from Cross-Laminated Timber, quickly and precisely assembled without any steel connectors and without a support structure? 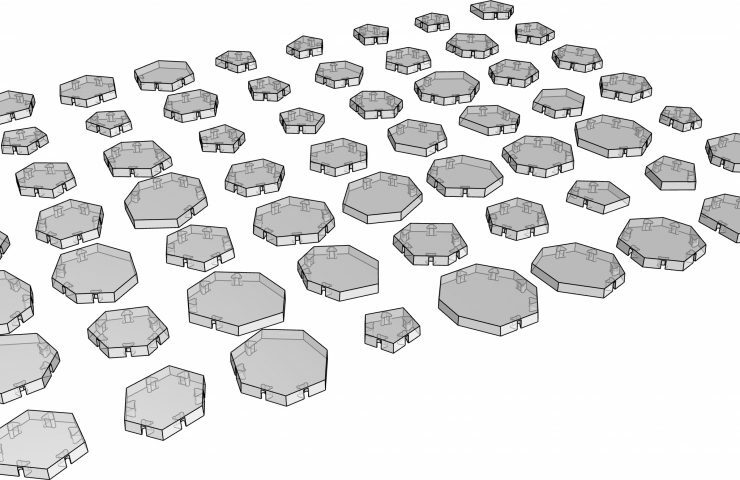 Shell structures are efficient and elegant, but they have always been challenging, time-consuming and costly projects, mostly built from concrete. 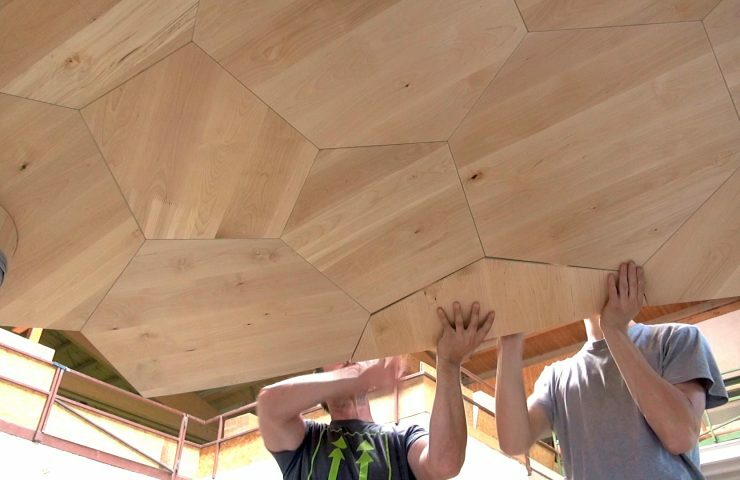 The Timberdome prototype presents a completely prefabricated, easy-to-assemble solution entirely made from wood, a very strong, lightweight and highly sustainable building material. 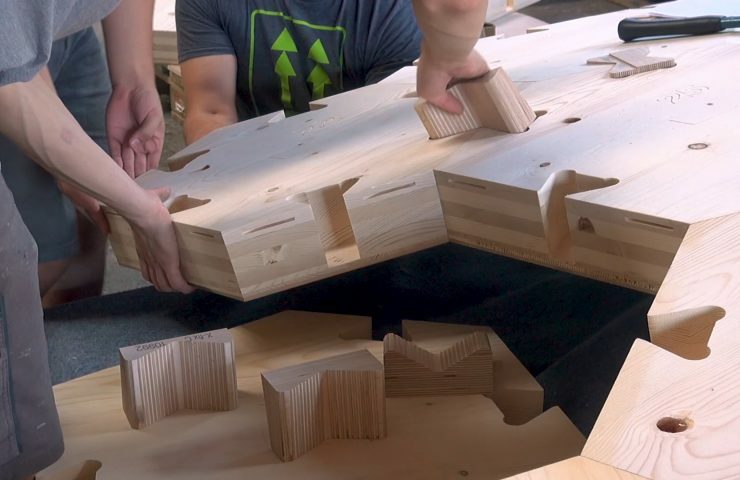 This has been made possible through a collaboration between DTC and the industry partners x-Fix, Hasslacher Norica Timber, HOKU industries and Gemson – with digital planning tools, wedge beech wood connectors, high-performance engineered wood products and high-precision CNC fabrication. 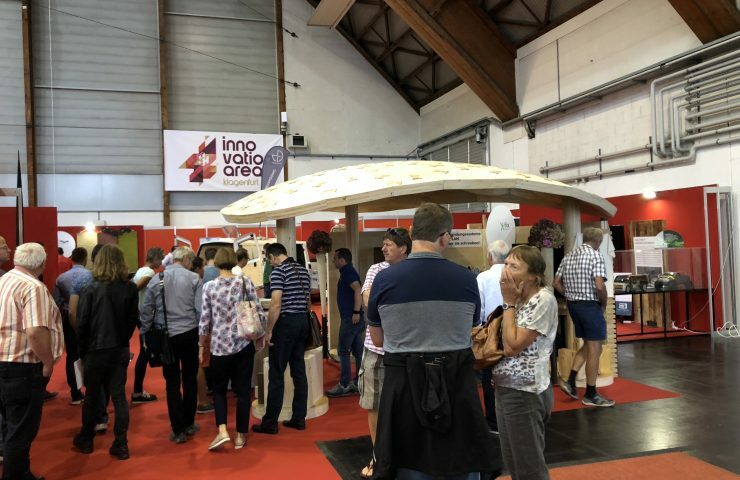 The prototype was exhibited in the “innovation area” of the international timber construction trade fair in Klagenfurt, Austria, the most important timber trade fair in central and southern Europe. 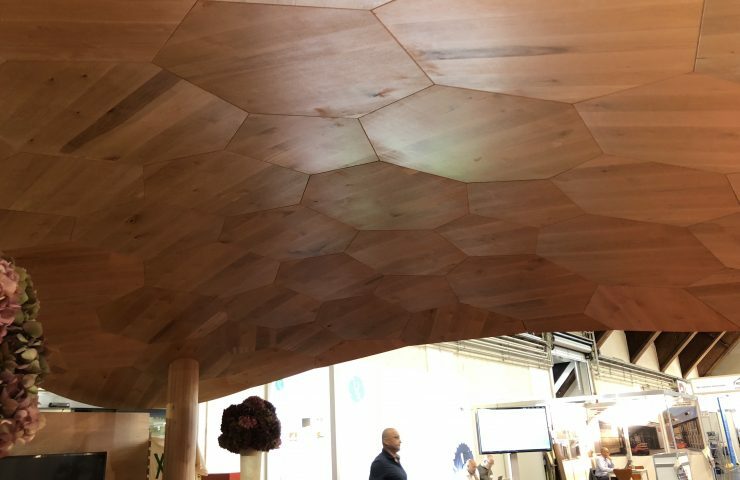 The structure will also be exhibited at the upcoming BAU trade fair in Munich in January 2019. 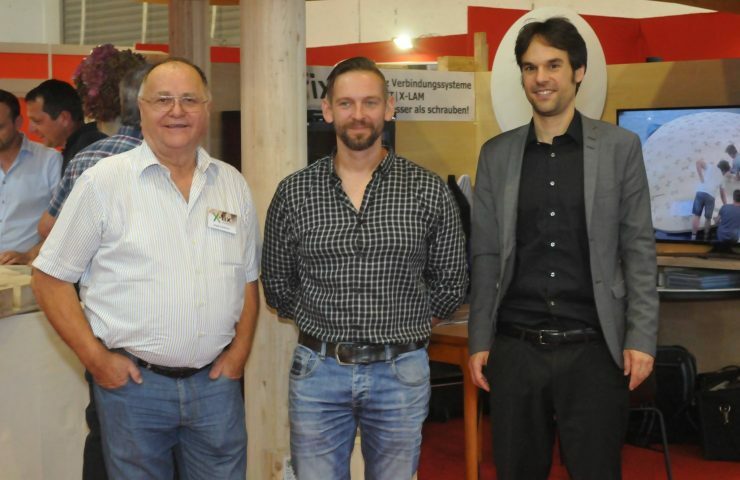 For research purposes, please cite the upcoming publication: Robeller, C. and Viezens, V. Timberdome: Construction System for CLT-Segmental Plate Shells without Screws, in: Proceedings of the 24th International Timber Construction Forum Garmisch-Partenkirchen, Germany December 5-7, 2018. 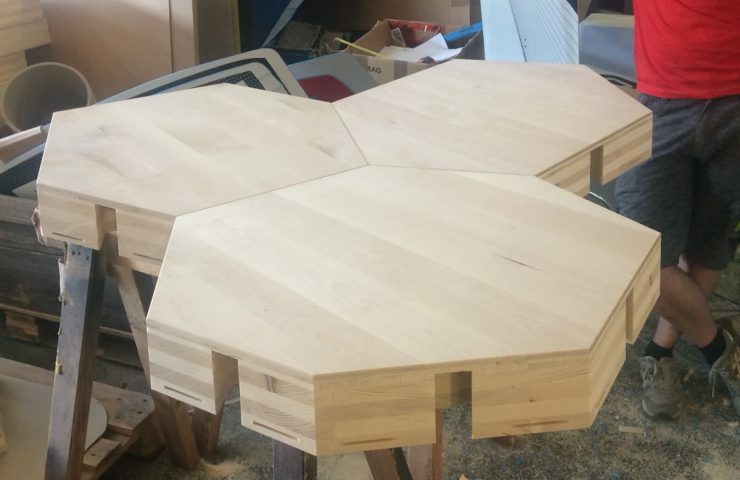 The software generates the CLT plate elements with slightly oblique side faces and cutouts for the hardwood connectors.